The warm winter and spring here in central Texas has kept me busy the past 6 weeks. Yes, those are peas in my raised garden beds! 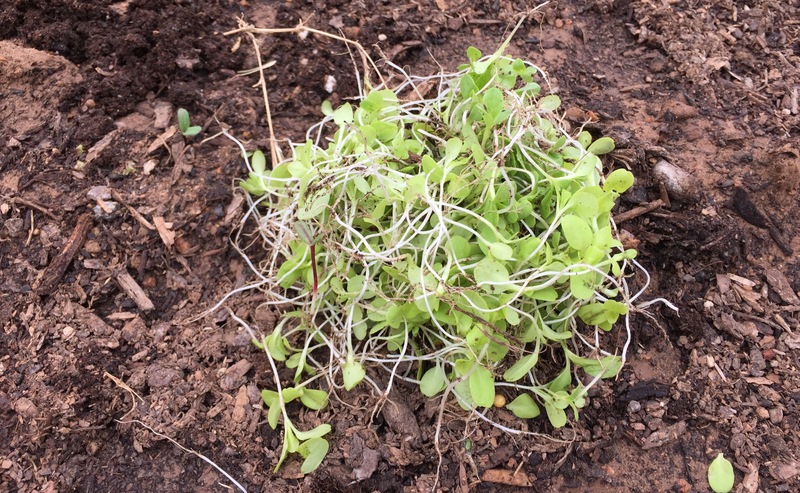 I direct-seeded peas and lettuce on Jan. 31, during a warm spell in which the two-week forecast called for maybe one or two days of freezing temperatures. Because neither veggie seed was likely to sprout for 10 days, and the forecast after that called for above-normal temps, I decided it was worth the risk. So far, so good. 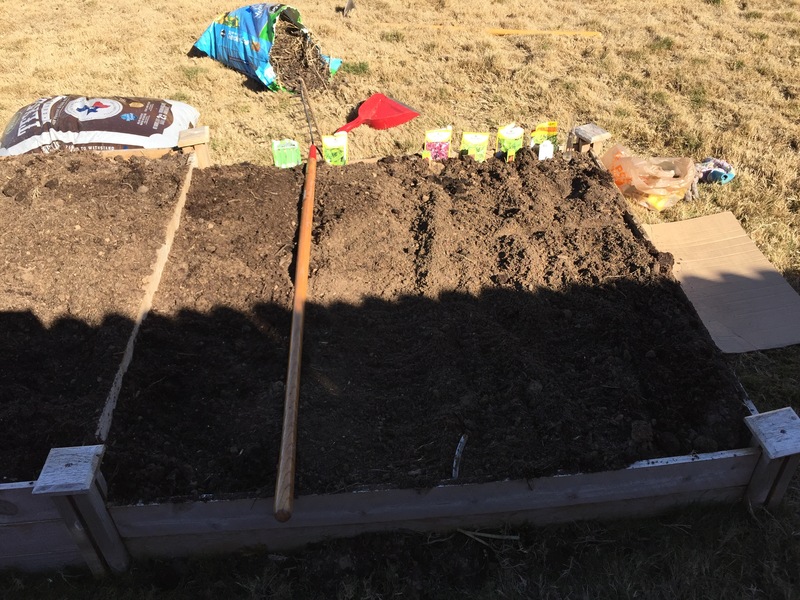 Above are the peas (2 rows at left) and the lettuce (4 rows at right), planted on Jan. 31, a beautiful, sunny day that saw temperatures reach into the 70s. The lettuce started coming up first, on about Feb. 10. A few peas poked through the dirt during the next few days, and by Valentine’s Day, so were a lot more. That same day, I also transplanted peas I had started from seed in the house on Jan. 17. 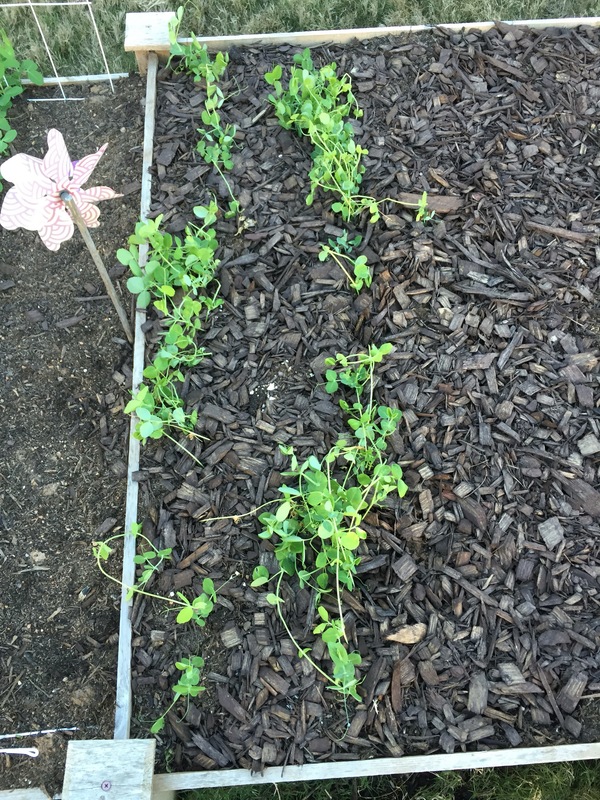 The pea directly seeded into the raised beds (photo at top of this post) are doing much better than the transplanted ones (photo below). I’ve not given up on them yet, but if I had to bet on which are more likely to survive, it wouldn’t be the transplants. It’s not that they’re doing poorly; they look pretty nice right? Problem is, they haven’t changed much since being transplanted to the raised bed. The direct-seeded peas seem to grow daily. The transplanted peas and one row of the direct-seeded are Ferry-Morse Melting Sugar Snow Peas (72 days to harvest). 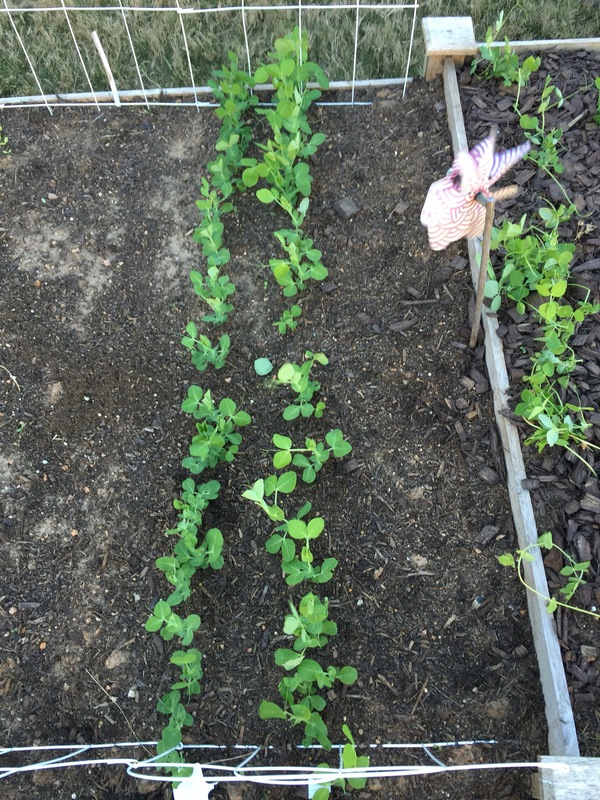 The peas in the other direct-seeded row are Burpee Snow Peas (58 days to harvest). 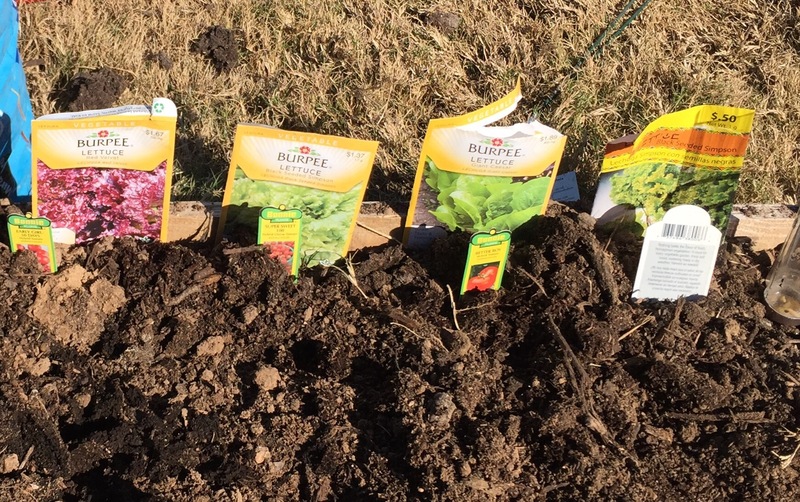 As for the lettuce, one of the four rows I planted–a Burpee Red Velvet–did not come up. Well, there are a few stray seeds coming up near where the row was planted, but it’s hard to tell at this point if it’s the Red Velvet or a stray seed from either the Burpee Giant Caesar or one of the two rows of Black Seeded Simpson (Burpee and American Seed). 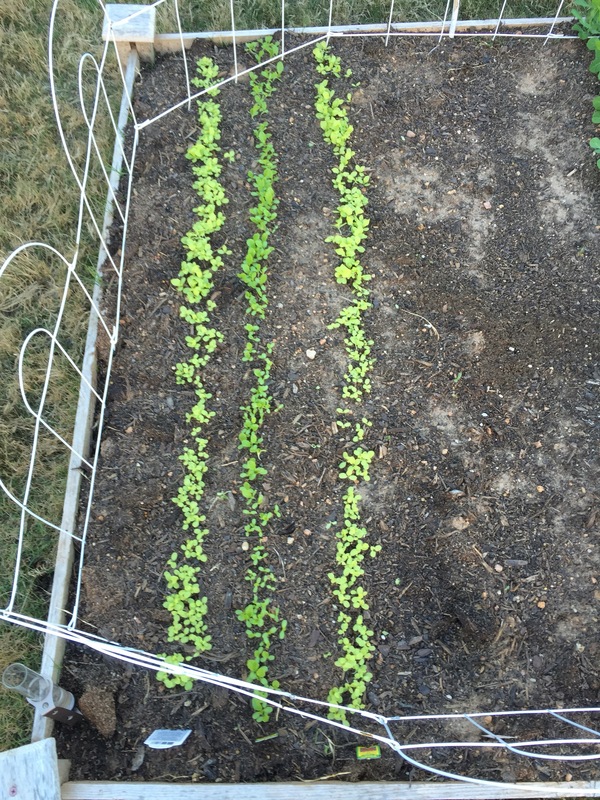 I’ve already thinned the lettuce once (it’s so-o-o hard for me to pull thriving plants out of the ground), but I’m thinking I might need to do it one more time to allow for better growth. It puts me in such a happy mood to see veggies growing already in the backyard beds. I’m at least 6 weeks ahead of last year. And if we can get through the next 2 nights without frost (lows of 39 and 37 are forecast, so my fingers are crossed), the next two weeks look good. That would bring us to March 9, pretty close to the frost-free date for the Georgetown, Texas, area. By that time, I hope I’ve already had a couple salads with lettuce from my garden! Thank you Shannon, it feels good to be back! I pulled the seedlings. If I cut them off, I feel like they would just grow back. As for starting seeds indoors, you’re right. They never seem to do as well as when directly seeded into the garden for me either. I suppose one of the reasons I do it is because it makes me feel like gardening season starts a few weeks or a month before it actually does. I do like seeing things grow!